What did you think of Portions of Time ? of 20 minutes in seconds. Convert the minutes into seconds by multiplying number of minutes by 60.
of 1200 seconds = 600 seconds. 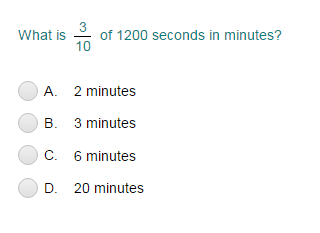 of 20 minutes is 600 seconds.